For the holidays try this great recipe with lovely fall flavors. Traditional yams with marshmallows on top may be the standard but your guest will love this spin on it and beg for the recipe. In a small bowl combine margarine, cinnamon and nutmeg. 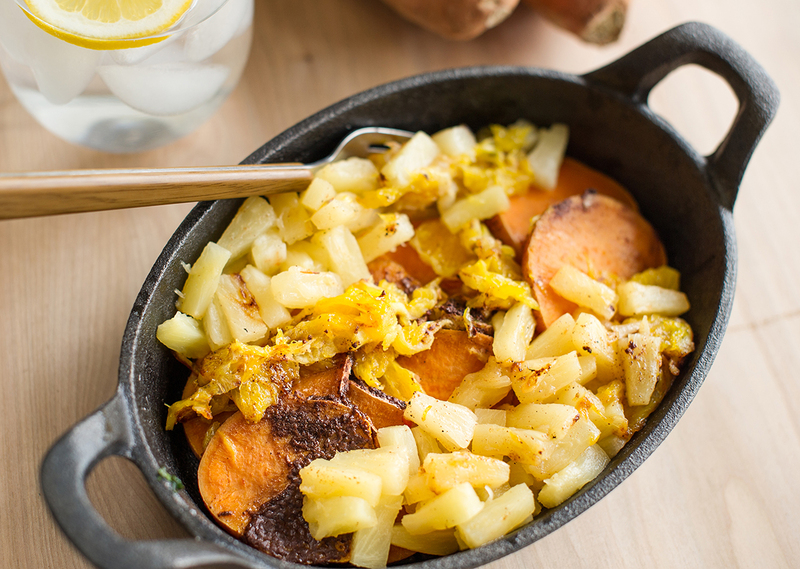 Place the sweet potato slices on the preheated grill in a single layer and cook for 5 minutes. Place the orange slices on the sweet potatoes and arrange the pineapple chunks around the sides. Drizzle the spiced butter over all and continue cooking for 2 to 3 minutes.